How do you think she�ll cope with a new baby? 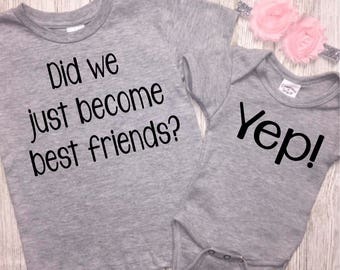 It was probably the question I was asked most after we announced that you were to become a big sister. �Preparing to be a Big Brother or Sister� is our newest social story. Check out our other social stories to help children prepare for new experiences like a grocery shopping tri p, a school fire drill , a day of fun bowling , a beach vacation , a visit to a MLB baseball game and an airplane trip .